A cartilage defect is a self explanatory term since it defines a damaged area of the cartilage. Cartilage defects can be brought about by trauma or injury and conditions such as osteonecrosis or osteochondritis. 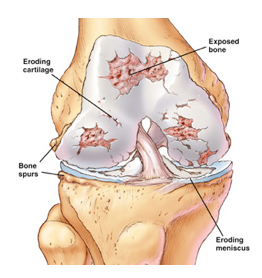 Most cartilage defects occur in the knee joint and this is probably the reason why most people assume that cartilage defects and arthritis are one and the same. Cartilage defects are associated with symptoms such as ligament injuries and meniscal injuries as well. Their treatments are not ideal for persons suffering from widespread arthritis. The symptoms of cartilage damage differ amongst patients and while some may experience pain and swelling, others will not. Sometimes, locking may be experienced especially if the cartilage broke off and there is a loose joint in the body. Muscle wastage and weakening could also take place since cartilage damage could make it difficult to engage in certain activities such as walking or running. As you can see, cartilage damage is complex to identify and doctors like to refer to it as the Cinderella of knee complications. Diagnosing cartilage defects is not easy and this is usually done when all other conditions have been ruled out. MRI scans and X-rays are used in diagnosis but they are not always helpful since they may miss the injury. When used in diagnosis of early stages of cartilage defects, these imaging tools may be useless. Arthroscopy is the best diagnosis tool when it comes to identifying the presence of cartilage defects. Cartilage defects are ranked according to the extent of the defect and grade zero is used to identify healthy and normal cartilage. Grade one defects have blisters and soft spots while grade two cartilage defects have visible minor tears. Lesions and deep crevices are identifiable in grade three cartilage defects and these affect about 50 percent of the cartilage. Grade four is the worst and this is when the cartilage is torn to an extent of exposing the underlying bone. The size of the cartilage defect is measured to identify its extent and usually defects which are less than two centimeters squared are considered small. 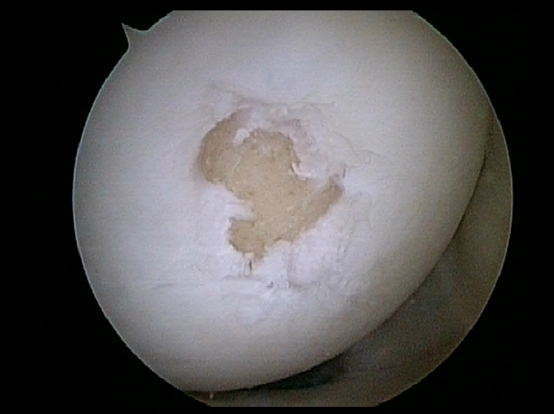 Although it’s important to identify the extent of the cartilage damage, the location of the defect matters as well. Conservative treatments are first administered to treat cartilage defects. These include over the counter and prescription medication, physical therapy, cortisone injections. Other treatments that could be introduced are microfracture and this treatment works to stimulate the cartilage to grow. Cartilage transfer is also a viable treatment and it involves removing healthy cartilage and transplanting it into the damaged area. Cartilage implantation is a new procedure which involves producing cartilage cells in a lab and implanting them into the damaged joint. Stem cell therapy could be a more suitable and effective treatment for cartilage defects. Though this treatment is still in its experimental stage, clinical studies show that stem cells could actually help repair cartilage defects in conditions such as osteoarthritis and knee articular cartilage defects. A recent study out of the Hospital for Special Surgery showed that Platelet Rich Plasma Therapy worked very well for moderate knee arthritis due to cartilage degradation in over three fourths of patients for the full year of follow up. An animal study looking at the injection of stem cells into knees with large cartilage defects published in the journal Stem Cells showed that those treated showed better results for cartilage healing. This is extremely promising when looked at in conjunction with the HSS study. Patients may have their pain relieved, cartilage restored and surgery avoided not only for cartilage defects of the knee but also the hip, shoulder, ankle, wrist, elbow and other extremity joints. Request Appointment for Stem Cell Therapy for your Cartilage Defect!